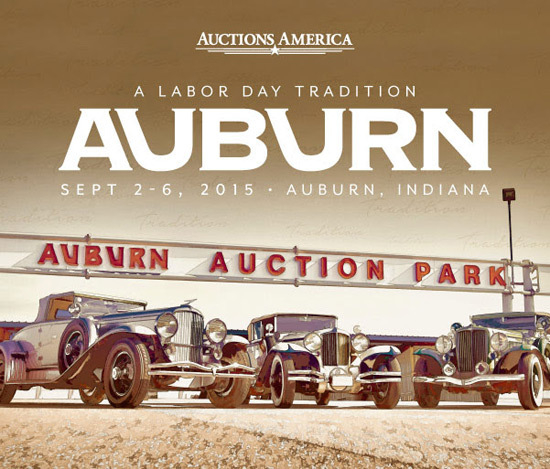 Auctions America annual Auburn Fall event will be held September 2 – 6, The five-day event offers something for everyone, not just for car lovers but for for the whole family too. Activities such as car corral, unique vendors, swap meet and many more will be included during the event. But, for automobile lovers, the following three cars will be the most interesting thing. 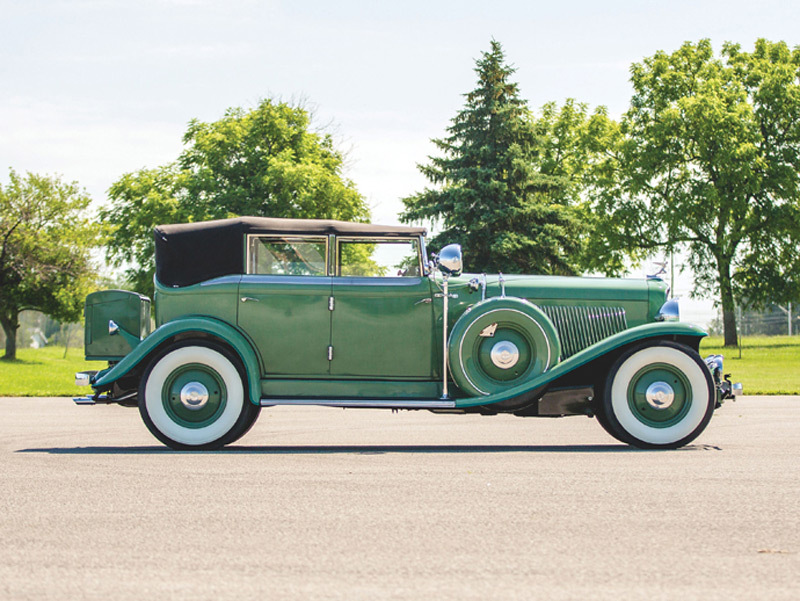 This car with a three-speed manual transmission, whose coachwork was designed by Murphy, is a quite desirable Convertible Coupe. 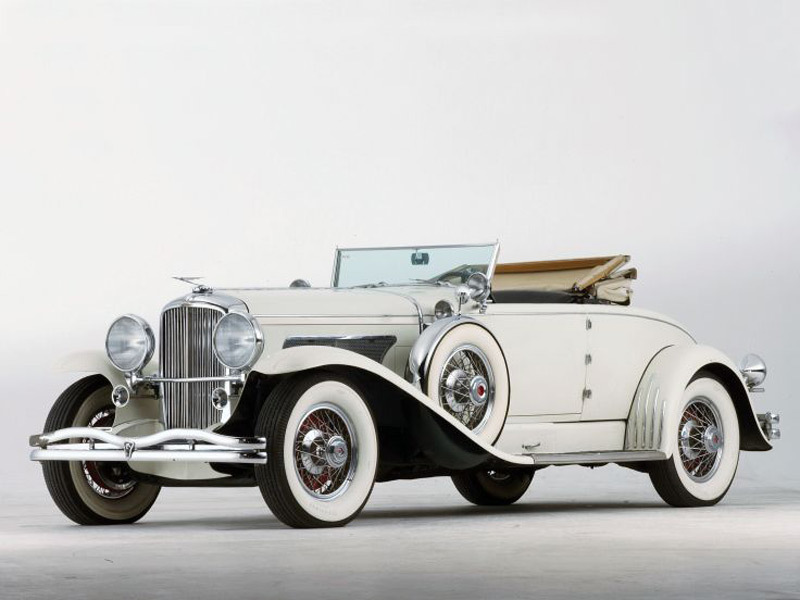 Around 2000, it was treated to a partial engine rebuild but by 2007, the Duesenberg Convertible Coupe has been immaculately restored. It features hand-controlled spotlights, chrome wire wheels, blackwall tires and louvered hood sides. Its interior is embellished with green leather and a matching green carpet. The side windows have delicate piano-type hinges that cover the void created by the rolled down glass. A car with known and interesting history has 420-cid, 265-hp straight eight-cylinder engine and is ACD Club Certified Category One. The estimated price for this car is $1,500,000 – $1,750,000 . This Cord, which will be offered on Saturday, September 5, has been in the hands of the current owner since 1973. Under the hood of this beauty is a 301-cid inline eight-cylinder engine combined with a three-speed manual transmission. The outside features twin taillights, chrome wheels, rare stone guard and painted hubs, whereas the tan leather interior is in accordance with white paint with a blue belt line. And,there is an interesting belief when it comes to this car, it is believed to have been used by the cast of “Gone With the Wind” as transportation to the premier of the movie in Atlanta, Georgia in 1939. Estimated price for this car is $175,000 – $225,000 . Auburn’s aim to provide a mid-range car which had innovative engineering, but were styling and affordable at the same time,was succeded. The body of this Auburn car was built by the Limousine Body Company. The Green paint and black cloth are the original colors that came on the car. The rare Lycoming V-12 engine was rebuilt in 2003. This car also features three-speed manual transmission and rare disc wheels. It has original frame, engine, drivetrain, suspension and running gear, too. Estimated price is $175,000 – $225,000.